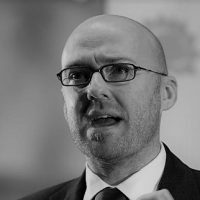 Patrick Harvie is a member of the Scottish Parliament and co-convenor of the Scottish Green Party. Cameron’s proposal for an in/out referendum on EU membership is likely to cause uncertainty and confusion for years to come, but what impact will it have on Scotland’s independence referendum? Scottish Greens co-convenor Patrick Harvie discusses the consequences.